I was itching to check out last month’s FN Platform, the market being touted as a “new national shoe show” by event organizers Magic International and Footwear News. 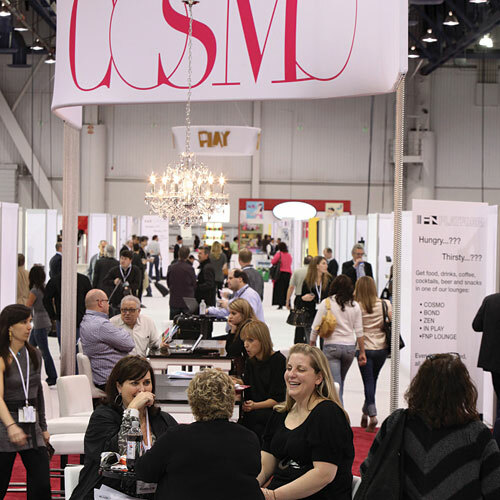 After several seasons of trade show change, turmoil and confusion, I was eager about the prospects of meeting with as many industry colleagues as in one hall of the Las Vegas Convention Center (LVCC). Moreover, a show billing itself as delivering affordable solutions for exhibitors was worth seeing for myself. A bustling aisle at FN Platform. Trade show organizers know that you cannot please every attendee. But no matter the venue, format, timing, cost or exhibitor list, a show is ultimately judged by traffic. Gauging traffic, however is always difficult, as attendance figures are historically inflated. (You’ll be hard-pressed to hear an exhibitor admit that few retailers visited their booth.) In fact, traffic reports can vary from one booth to the next. For example, one vendor told me he was at 60 percent of his goal for new retail customers by the end of the first day of Platform, but another said he only saw the usual suspects, and one referred to Platform as just another regional show. While Platform was technically under one roof (a key criticism of WSA’s past incarnation), some brands chose to remain in Magic’s apparel halls, which were adjacent but seemingly miles away on tired legs. And attendees still had to trek from the LVCC to Mandalay Bay to visit the shoe brands showing at Magic’s edgy offshoot show, Project. Shopping multiple venues costs additional time and money, and the dispersion dilutes the traffic at all the venues. So why not feature all footwear brands under one roof? That simple solution, however, won’t guarantee a winning show. An exciting atmosphere is also key—and while Platform achieved good buzz, this is where Project raised the bar. Working Project’s aisles, I felt like I was at a nightclub: pumping music, clever and gritty signage, beautiful people (and some celebs), and crowds everywhere. As an industry veteran of 17 years who has attended countless trade shows, Project was the proverbial “place to be.” The rock ‘n’ roll atmosphere culminated late in the day, when the Foo Fighters gave an intimate impromptu concert on behalf of one of the show’s denim exhibitors. This leaves us wondering: Can a Project-like vibe be created in a footwear-only format? Should that even be the goal, as more retailers shift to lifestyle merchandise mixes? Is a national shoe show even a viable concept in this new economy? Currently, our industry is scattered across a landscape of competing shows, and I believe the energy we generate as a collective force is suffering. There’s less sharing of ideas and fewer opportunities for potential breakout brands and trends to be spotted. It’s frustrating to see.